You are here: Home / Heart Health / Should I Take an Aspirin Every Day? Should I be taking an aspirin everyday? What if I’m healthy? If I believe a TV commercial I saw today, then absolutely yes I should. Millions and millions of patients who take it almost religiously on a daily basis hold the same view, under the assumption it will protect them against heart disease mainly by preventing heart attacks. Some have even gone so far to describe aspirin as a wonder drug, with an editorial the New York Times last year basically demanding that there be some sort of effort to start a large portion of the population on aspirin immediately to reduce rates of heart disease. In fact it was even mentioned that given the evidence, it shouldn’t be voluntary for physicians to inform their patients about the benefits of aspirin, they should be forced to! If the authors of that, and other similar pieces had taken the time to review the evidence however, it would have been realized that the evidence upon which to make such a strong statement simply does not exist and in fact could be harmful. Such views fail to present a balanced argument, in which the evidence is detailed in a credible manner, and benefits and risks are outlined allowing those reading it to make an informed decision. What is clear is that the case for aspirin in all people is far from clear-cut and is in fact highly controversial. When taking medicines to prevent ‘events’ such as heart attacks we need to consider a few situations. Firstly, if I take that medication, even though I have not had an event up till now, will it prevent me from having one in the future. This is called taking a medicine as primary prevention. Secondly, if I have had an event, such as a heart attack or stroke already, will taking the medication prevent me from having another one? This situation is called taking a medicine as a secondary prevention. 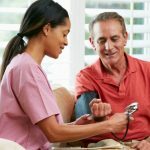 In this article we will not deal with secondary prevention, as although not set in stone, there appears to be satisfactory evidence to recommend aspirin widely to patients with established cardiovascular disease such as those people that have a heart blockage, angina, heart attacks, and strokes. For the rest of the article we will deal with the topic of aspirin as primary prevention. The question being should we all be taking aspirin every day to protect ourselves against heart problems? So why do people think that the use of aspirin can prevent problems such as heart attacks? In people with coronary artery disease, there is build up of substances such as bad cholesterol in the walls of the arteries forming what we call plaque. Simply put, rupture of one of these plaques leads to many cells (such as platelets) coming to that area and sticking to each other to try and heal it. Unfortunately this process can result in so many cells coming together that it takes up the whole space in the artery and so the artery becomes fully blocked leading to a heart attack. One of the actions of aspirin is to stop these cells from sticking together so much. It’s important to realize, however, that aspirin isn’t totally effective in this manner and that is why we use a number of additional medications in people having a heart attack. There is another argument to consider however; aspirin is also known to cause bleeding by the same mechanism. Bleeding within these plaques can contribute to their progression and make them unstable. Some studies suggest that aspirin could potentially contribute to the progression of coronary disease also. Interestingly older studies of the effect of aspirin on heart disease, mainly those performed before the year 2000, showed some possible benefit. However that benefit was not noted in the studies done after that time. This is most likely due to the use of newer more specifically designed and widely used drugs to treat heart disease and more of an emphasis on the treatment of cholesterol and high blood pressure over this time. There has also been a suggestion that aspirin may actually detract from the positive effect of these newer drugs, and that if aspirin wasn’t used at the same time then they would be more effective. What about the known adverse effects of aspirin? Aspirin use is associated with indigestion, bleeding from the stomach or lower down in the GI tract, progression of eye conditions such as macular degeneration, kidney disease, and of course serious strokes caused by bleeding in to the brain. Bleeding from the GI tract is associated with worse outcomes and a higher chance of death, particularly in those with cardiovascular disease. Aspirin has been shown to potentially reduce the effect of drugs such as ACE inhibitors, the very drugs that have resulted in the decrease in death rates from CV disease. When it comes to the prevention of heart events in patients with established cardiac disease (known as secondary prevention) there appears to be enough evidence to suggest that aspirin is of likely benefit, and that benefit most probably exceeds any harms. On the other hand, although studies looking at the use of aspirin for ‘primary prevention’ have shown that there may be a small beneficial effect of aspirin in terms of preventing cardiovascular events, the evidence is far from convincing and has also shown that this effect may be down to chance alone. What is for sure though is that daily aspirin use increases the risk of bleeding, including bleeding in to the stomach and bleeding in to the brain. 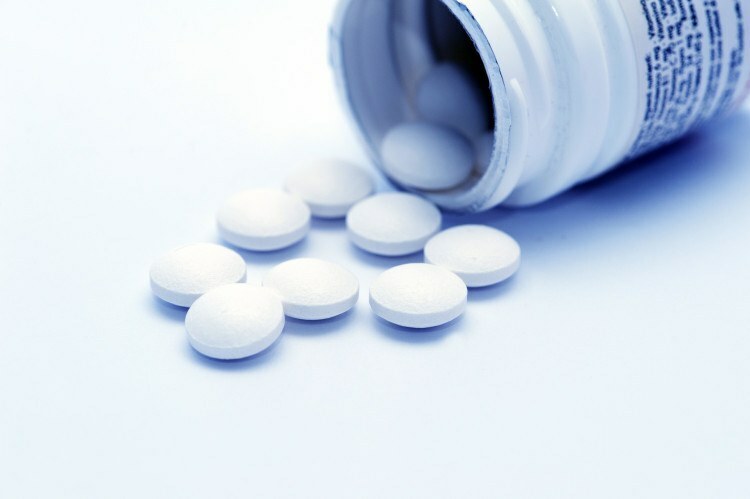 Other studies have tried to look at the effect of aspirin use on prevention of cancer. These studies were interesting and showed some potentially exciting findings regarding the prevention of some cancers, but importantly they were not specifically designed to look for that and so the studies are limited, and the findings need to be interpreted with appropriate caution. These findings have paved the way for currently ongoing well-designed studies to see if aspirin has any role for the prevention of cancers. But until that time, we certainly can’t recommend it for that purpose as for all we know the harms may exceed the benefits given the known bleeding risks. Ultimately, when considering this controversy, it’s important to realize that both the number of potential heart events prevented and the number of bad side effects that can be associated with aspirin are both small although it appears the risks may outweigh the benefits. One recently completed study that was sponsored by the British government showed that if 10,000 people took aspirin every day, and were followed up for 10 years, aspirin use may only prevent between 10-60 cardiovascular events. Of these 10,000 people however, there would be potential for between 70-120 increased stomach bleeds. Physicians pride themselves on following ‘evidence based medicine’. It is the cornerstone of modern day clinical medicine and is the basis for solid guideline recommendations. It means that whenever possible, the recommendations made to patients are not just made up based on what we think, but rather formed as the result of well-designed studies that have demonstrated a proven benefit of those treatments, that exceeds the risk of harm, and is therefore in the best interests of our patients. If I invented a new drug tomorrow, and said that although I can’t definitely prove it, I think this drug may work to prevent heart disease, but there is a significantly increased chance of complications, I’m pretty sure of two things. Firstly you would be very suspicious of it and secondly the regulatory bodies that govern drug use may likely not approve it for that purpose! Just because aspirin has been around for a long time and may be useful in people with established cardiovascular disease, doesn’t mean we should consider it useful for primary prevention. Based upon the available evidence, the cardiovascular benefits of daily aspirin in primary prevention are unsure, however there is clearly an increased risk of both major and minor bleeding. Until further evidence becomes available it is difficult to justify recommending daily aspirin use in all people without a history of cardiovascular disease. The good news is that in the next few years when the results of several well-designed studies come out, uncertainties regarding the matter of the use of aspirin for prevention of cardiovascular disease and even other indications such as the prevention of cancers will hopefully be settled. 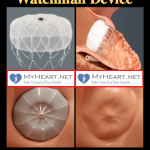 If you want to know more about heart attacks and how they should be treated read our expert articles, ‘The Widowmaker’ and ‘Did That Stent Save My Life?’. Excellent analysis. So logical. I have always had low platelets – around 105 x 10 to the 9th /L – below the reference interval (150-400). Perhaps daily aspirin is not such a good idea. Platelet studies have not identified any particular cause (perhaps needed more study?). I conceitedly suggested to a haematologist that perhaps I had a letter chance of not getting a myocardial infarction due to a thrombus. But he said naturally low platelets levels do not necessarily guarantee that. And here I thought I would be protected from an MI. Aspirin has always been my favourite antipyretic and analgesic – still is. I dislike paracetamol and only give it to my kids. I’ve seen too many paracetamol overdoses. I’ve been a type 2 diabetic for 15 years. I will be 66 in November 2015. By the grace of God, my recent CT Angiogram revealed minimal plaque and no soft plaque. The article justifies my not having taking aspirin regularly as primary prevention. I like the explanation of the “Widow-maker”, an extremely worthwhile website! We lost my dad Jan 2014 suddenly of a massive heart attack. Our family Dr. Explained to me that he had a widow maker. My dad was not a sick man took no medications and was very active. we had no idea he was not well. He had no signs or symptoms that we knew of. The day he passed away he was doing what he did every day drove to town went to bank was planning to play poker that night. If he was feeling unwell he sure wouldn’t have been doing all of that. He passed away at home. I have struggled to understand why him. This article has given me some insight and I thank you for that. Though it doesn’t give me closure. It was interesting to read. These are all very interesting and informative articles from Dr Ahmed. I also read the Heart Blockage, Explained with Pictures, The Widowmaker and Did that stint save my life? Ive got two stints (right main 100% blockage and left circumflex 90% blockage) and I know they saved my life. I have a question for the Doc. Ive read recently that The NMR LipoProfile® test is a blood test which has been shown in numerous clinical studies to be superior to LDL-cholesterol in predicting coronary heart disease (CHD) events. The NMR LipoProfile® test uses NMR spectroscopy to measure the actual number of atherogenic LDL particles that build up in the arteries causing heart disease. By knowing how many of these particles are circulating in the blood, a physician can get a more accurate picture of a patient’s heart health and, therefore make better patient care decisions. Is this true, should I go out and get this test performed? If it comes back indicating a high number of LDL particles, what should the treatment protocol be? I had my LAD 100% blocked and Dr. implant 2 drug eluting stent in my LAD on July 7th 2016, but I did not had much symptom . I just had a pressure on the right side of my chest. So I delayed a day thinking that it was just gas problem, but thanks to my wife who forced to go to the emergency to check it out. My blood troponin was at first 0.42, after 90 minutes it went up to 0.72 and after 6 hours it was 1.06. Right now I am in cardiac rehab and taking baby aspirin, metoprolol 25mg, Lipitor 40mg tid, Brilinta 90mg. Since the event I am doing ok. I changed my diet, doing aerobic exercise. My question to you is Can I do another angiogram just to see how my blockage is doing? Is it ok to ask my cardiologist about it? If there are no symptoms, there is often no point with testing. If there are symptoms then a stress test may be more appropriate as an initial test. Talk you of this article. My brother passed away from a massive heart attack a few years ago. As heart ideas runs in our family ( dad had his first at 45) , prevention would have been key. He did take a children’s aspirin everyday, so thank you for the article on that. He had not been to see a doctor in years… My husband’s family also has a history of early onset heart disease (maternal uncles). Would an angiogram be suggested in this case to determine a baseline of possible blockage? My husband is very healthy, eats healthy diet, and exercises regularly. However, we are told that heart disease can be genetic. Also, what happens to the plaque that is in the artery after a stent is inserted? Is it removed during surgery? Thank you for this informative article. In the absence of any symptoms whatsoever, in an active individual, most would recommend no further testing. After a stent is inserted the plaque is crushed against the wall. I am 66 year old male and well controlled diabetic for last 13 years .I had a CT angiogram done recently referred by my Cardiologist which indicates 30 – 40% blockage in Distal Left main and Moderate/Severe stenosis in the LAD just proximal to D1. Following this I had stress echo with no WMA. I acheived maximum heart rate of 162 without any symptoms. I exercise regularly with heart rate of 120 – 140 bpm with no chest pain or shortness of breath. My cardiologist suggested Coronary Angiogram for accurate asessment of stenosis. Please confirm whether I need this Angiogram at this stage. Thank you. My question to the cardiologist in this case would be, if an angiogram was needed, why was a stress test performed first? If the stress test is negative why is an angiogram needed. Discuss those points. Great read. Since the initial discussion was from 2013, has the further studies about aspirin you mentioned been completed yet? What where the outcomes and is it of benefit for either type of prevention, primary or secondary. There has been no good publication with data to change the discussion, amazing isn’t it. I was told to take a baby aspirin every day by my neurologist – on my first visit for TBI evaluation for CTE… I was to return in several months after all tests were done. I first had a brain MRI. Soon after, a friend died suddenly of a brain bleed. He had early stage Alzheimer’s and had been on an anticoagulant due to previous blood clot. When I read the research on dementia and micro brain bleeds, I remembered that my MRI showed some micro brain bleeds and thought – eek! I have no reason to be taking asprin. Your article strengthens my reasoning! I won’t be talking to the neurologist for another month. I wonder why she would tell someone with potential bleed issues to take asprin? Worrisome. I’ve been taking a prophylactic baby aspirin (Sounds so safe, doesn’t it? ), 81 mg most of my adult life due to my belief that it could potentially safe me from the disastrous effects of an MI. There is a family history of CV disease and although my father died an unexpected traumatic death at age 36, his autopsy showed significant CV disease and had he lived would have been at high risk for an MI. Lifestyle CV risks included smoking and daily ETOH as well as a diet rich in saturated fats. I have DM II, and am taking metformin 1000 ER bid in addition to a statin and daily MVI. Interesting, that I had been previously been prescribed an ACE as prophylactic in the setting of DM II by a PCP that was unaware of the decreased effectiveness of an ACE while taking ASA. Now with the information provided by your well researched article, I am wondering if I should go back on the ACE, (which I had stopped since BP was WNL and was tachycardic), for the benefit of the renal macrovascular benefits of an ACE. Your opinion would be appreciated. In general it is known that ACE inhibitors are useful for DM patients in the treatment of DM nephropathy and prevention of events. Patients with hypertension and DM or patients with any evidence of proteinuria should be treated with this. In the absence of those features the prophylactic indication is less clear.